Who’s Living In Your Gutter? Carpenter ants. Mosquitoes. Rodents. Birds. Squirrels. Did you invite any of these creatures to take up residence in your gutters? In effect, you have – if you fail to have gutter cleaning done regularly. Clogged gutters, filled with a combination of nature’s debris, make an inviting home for these pests. If they have nestled in there, it probably won’t be long before they find their way inside the home as well. Establish a regular habit of cleaning gutters, usually twice per year, to keep from putting out the welcome sign for gutter dwellers. In addition to vermin presence, clogged gutters can cause a lot of damage to your home. Damage due to water: When gutters are clogged, they can no longer do their job of draining water away from your home. Instead, water gathers around the foundation and can get into your basement. The results are water damage and the mold that follows. Damage to the gutters: Without regular inspection and cleaning, gutters will grow heavy with debris and water. Left unchecked, this can eventually cause gutters to loosen and pull away from the building. Damage due to ice: Ice dams are formed when gutters are clogged during cold weather. The water flows over the sides of the gutter and freezes, forming a dam that forces water into the home. Besides this damaging water flow, the weight of the ice can also tear the gutter off the home. Icicles can also form, which can damage shingles. 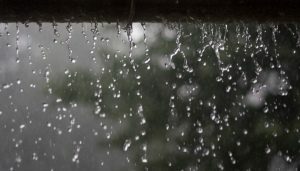 Damage to building materials: When the water is not properly draining off your home, the gutters can overflow over the back and pour the water onto the building instead. This can cause fascia boards and rafters behind the gutter to rot. To avoid these costly damages to your home, keep a regular gutter cleaning and maintenance schedule. 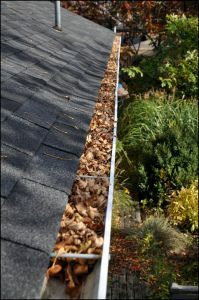 Gutter cleaning should be done twice per year, or possibly more often, depending on your location. If you are in a wooded area, your gutters may need to be cleaned more frequently. If you are experiencing a harsh winter, and notice any ice dams or leaks, these should be cleared away immediately. The professionals at Central Window Cleaning can advise you about how often you should have gutter cleaning done. Central Window Cleaning can help you keep your gutters clean and working smoothly to ensure protection of your home. You won’t need to risk your safety rigging up ladders and trying to reach or repair hard-to-clean gutters. Leave that to the pros. 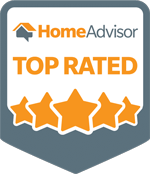 Specializing in gutter cleaning, Central Window Cleaning professionals have the training, tools, and knowledge to properly clean gutters and downspouts, check for proper flow, and maintain your healthy drainage system. Keep your home out of the gutter. Contact Central Window Cleaning today to receive a free estimate for gutter cleaning.